St. Maches was the sister of St. Cadog. She lived the humble life of a shepherdess in the early 6th century, but was killed by robbers who wished to steel her finest ram. 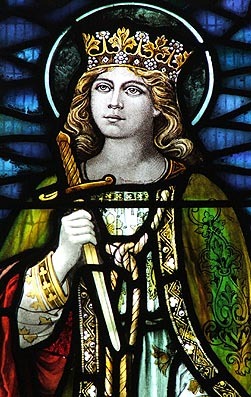 St. Tathyw built a church on the spot where she was killed in Merthyr Maches (Llanfaches, Gwent) and had her body removed to his monastery at Caerwent.